2. Place ricotta, honey and lemon zest into a mixing bowl and beat together until light and fluffy. 3. Place puff pastry onto a baking sheet and spread honey whipped ricotta over the top in an even layer. 4. Fold all the edges inward, about 1/2 an inch, pressing the edges down with the back of a fork. 5. 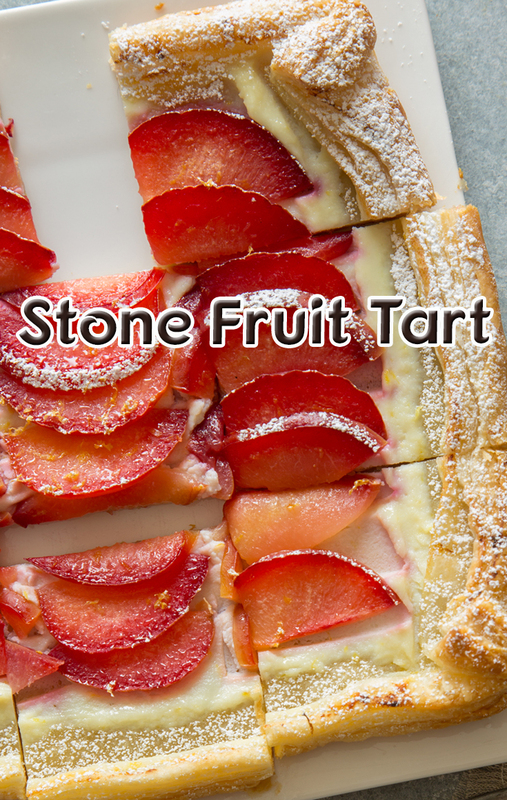 Top ricotta with rows of thinly sliced stone fruit pieces, until the surface is covered. 6. Bake for 18 to 22 minutes or until puff pastry turns golden brown and puffs around the folded edges. 7. Allow tart to cool, 15 to 20 minutes before dusting with powdered sugar, slicing and serving.